Two weeks away from a jam-packed tour mostly in the Eastern U.S., and I’m still getting flooded with requests to perform at schools. I’m so encouraged to see how many schools are making food allergy education a priority issue! I have started taking bookings for May and early June and will be in my usual spots (NJ, NY, MA, CT) as well as moving westward to PA, OH and MI. Perhaps Illinois if there is enough interest. As always, just send me a note if you’re school might be interested and we can go from there trying to work out timing. In the meantime, I’ve got a guitar to re-string, songs to practice and puppets to bring to life as I plan out another 30+ school tour this October! Yeehaw! Available this October in my…home and native land! I have a few dates free and would love to visit your school! Simply get in touch via my website for more info. Excited to tour schools in the Lone Star State! I will mostly be in the Austin, San Antonio and Dallas area. Get in touch for more details! Get in touch now to secure a date for your school! Come one, come all! 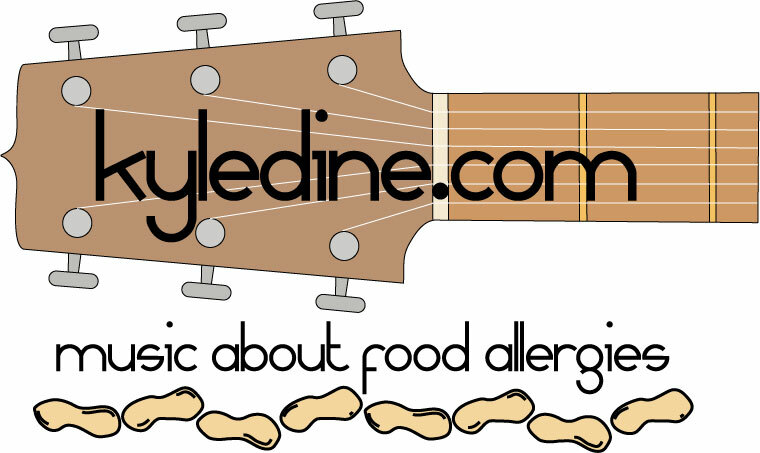 It’s going to be a great time filled with music, fun, and incredible allergy-aware companies. Hope to meet you there! This event was HUGE last year and looks to be even bigger this year!! If you are remotely near Norwood, MA, come on out to this food allergy friendly concert and expo. This will be my one and only public concert this spring! Hope to see you there!